Greetings, Readers of Advancing the Science! You may have noticed an increase in posts from the Mayo Clinic Robert D. and Patricia E. Kern Center for the Science of Health Care Delivery in recent weeks. We plan to expand our reach and share practice-changing science via this new channel. Please let us know what you think of the new content (email the center). In the center we are focused on applying innovative science to evaluate the quality, safety and value of health care globally and improve experiences for patients. Our multidisciplinary teams are working tirelessly to build the evidence base and identify patient-centered solutions to health care’s most pressing challenges. Our work is collaborative, with projects designed in concert with clinical practice areas at Mayo Clinic, and with other researchers in a variety of cooperative ventures. 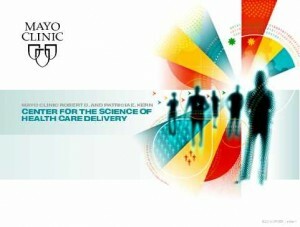 Although we certainly seek to improve care delivery at Mayo Clinic – with campuses in Arizona, Florida and Minnesota, and a health system network in the Midwest and Southeast – the center is ultimately committed to finding ways to improve health and the way patients experience health care worldwide. With 150 years of patient-centered care and health care delivery innovation, Mayo Clinic is uniquely positioned to help solve the systemic problems that prevent people from receiving effective and timely medical care, both in the U.S. and across the globe. The center’s teams of innovators identify ways to increase efficiency and effectiveness through systems engineering, business and value analysis, and translational science. 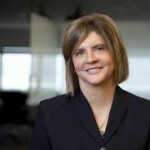 Other teams focus on improving surgical outcomes and improving population health worldwide. Our commitment to you: Every Tuesday (and sometimes more often) you’ll see what we’re up to. These posts will highlight some of the great projects our teams are working on (see our publications list for more), present ideas for ways to positively affect our nation’s health care system, and share opportunities for collaboration. We look forward to engaging in a dialogue with you about health care delivery.